The trailer for Diamond Days was posted to the app along with the free weekend, but now it’s available for viewing on Cartoon Network’s YouTube channel. Yesterday at about five o’clock Eastern time Cartoon Network posted a video. Featuring Ms. Sugar and Mr. Jones-Quartey, it was a short two-minutes-and-change podcast episode about cartooning with added video of the speakers and some background footage of their respective cartoons. According to Entertainment Weekly, season four of Steven Universe will reach Hulu on December 11. This will bring the series up to I Am My Mom, meaning that anyone watching their Steven Universe re-runs on Hulu won’t be missing very many episodes. 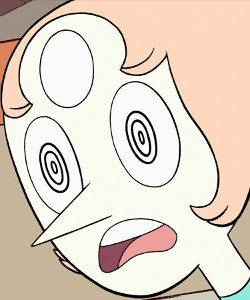 Yesterday Aivi broke the news: when the soundtrack goes up for sale, we’ll be losing most of the Steven Universe tracks from Aivi and Surasshu’s Soundcloud account. This unfortunately includes the large majority of the instrumental tracks though they are still not for sale. For those who haven’t heard, all of the episodes from the upcoming bomb will be made available on the Cartoon Network app and on the CartoonNetwork.com video section on Friday, May 5, 2017. If your cable provider is on their list, you will be able to log in and watch the episodes early! With little fanfare, it seems, season three of Steven Universe has finally been put up on Hulu, available to subscribers. That brings Hulu up to having the first 102 episodes of the series (yeah, Hulu apparently counts weird). Still, it’s a lot of Steven to watch, going all the way up to Bubbled.